From beer yoga to kueh making, from hawker fare to dishes from Michelin-starred restaurants, the 25th edition of the food festival promises to whet your appetite no matter what kind of foodie you are. The Singapore Food Festival returns for its 25th edition with an epicurean line-up of dining events for a wide range of foodies. Whether you love char siew or theatre, beer or kueh, there is something for you at the festival, which run from 13 to 29 July and offers more than 20 events that shine the spotlight on traditional and contemporary Singapore flavours. The line-up includes the gamut from quirky Mod Sin food, nostalgic dishes from the 1930s, kueh, curries and cocktails.The festival, which is organised by the Singapore Tourism Board (STB), attracted about 525,000 locals and tourists last year. Speaking to the MICHELIN Guide Digital, STB’s Ranita Sundramoorthy, director of retail and dining, says that the festival has evolved from highlighting things like “the longest popiah or the biggest number of fishhead curries” to providing a well-rounded experience that showcases Singapore talent and cuisine. Here are some foodies you may encounter at the festival. Get ready to get starry-eyed at the festival’s marquee event, STREAT. Chef Emmanuel Stroobant from one-Michelin-starred Saint Pierre teams up with chef Haikal Johari from another one-Michelin-starred restaurant, Alma By Juan Amador, for their first hour-hands collaboration. Taking place on Empress Lawn near Victoria Concert Hall, the pop-up restaurant with 100 seats will serve meals in three shifts on 13 and 14 July. The two chefs will present a five-course menu ($60++). Haikal will present two dishes — US scallop with coconut, turmeric, laksa leaf oil and fingerroot (a medicinal herb used in Thai and Chinese cooking), and poached shrimps with kaffir lime, chilli jam and carrots. In the menu’s surf-and-turf concept, the lightly-seasoned prawns will complement Stroobant’s punchy buah keluak beef short rib. Stroobant will also whip up a refreshing tomato confit that is marinated in Sichuan peppercorn oil and coriander oil. He will also present a gluten-free flourless chocolate cake dessert that has been in Saint Pierre’s menu for the past 15 years. He will bake the cake, which is made with Indonesian and Vietnamese chocolate, while Haikal will garnish it with hazelnut and dehydrated longan. The Hawker Spotlight tour zeros in on Amoy Street Food Centre this year. This year’s hawker tour segment, Hawker Spotlight, zeroes in on Amoy Street Food Centre, which houses the most number of Bib Gourmand eateries — six. These include A Noodle Story, Hoo Kee Bak Chang and J2 Famous Crispy Curry Puff. 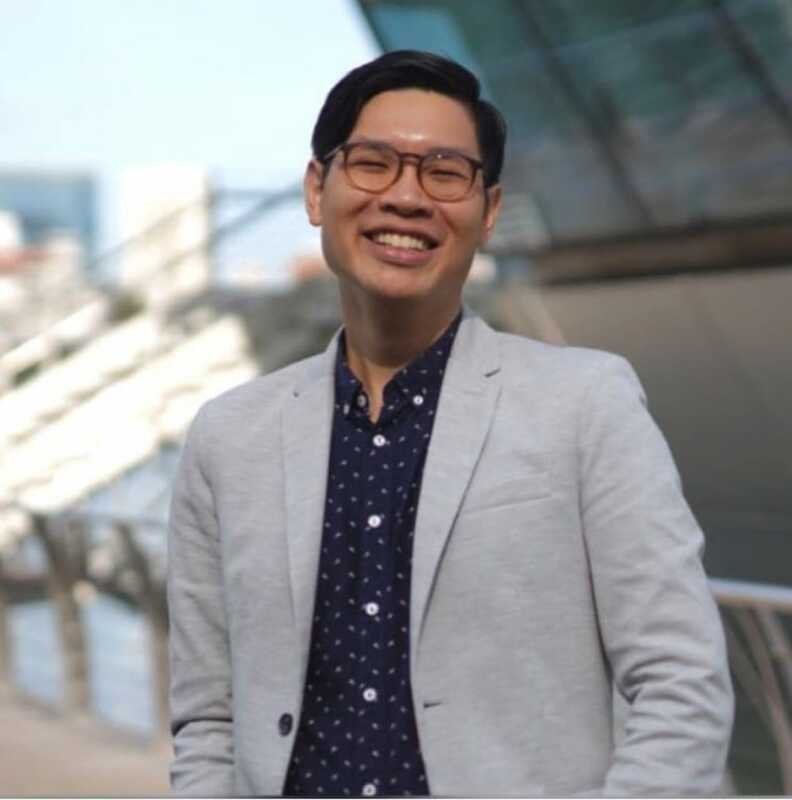 Local personality Moses Lim will lead a tour on 20 July to uncover the stories behind some of the hawker stalls such as Nasi Padang Sederhana, Syed Mohammed Drinks Stall and Quan Ji tzechar stall. 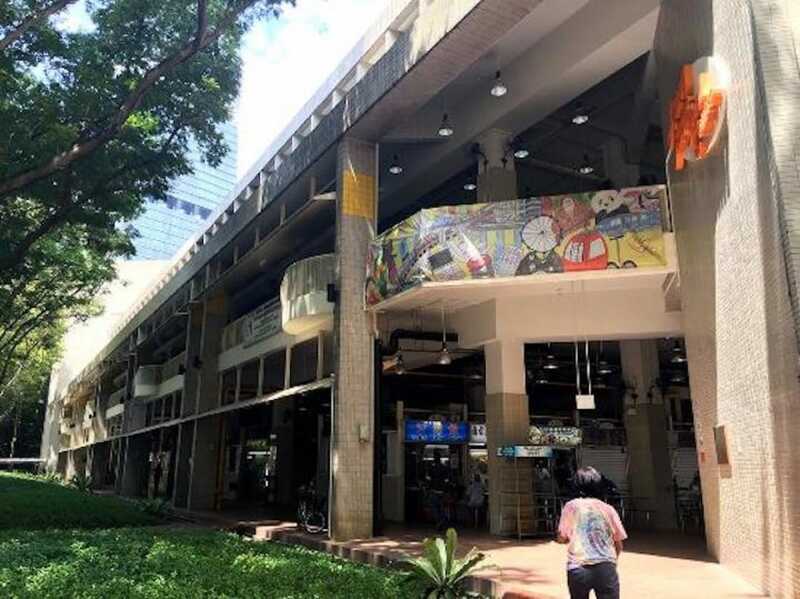 Visitors can pick up the Hawker Spotlight booklets at the City Gas Gallery and Singapore Visitor Centres to enjoy special deals and discount coupons at Amoy Street Food Centre. New this year is a dining-centric play, Makan Cosmopolitan, by local arts group Ape Studios. The play chronicles the various characters that frequent a hawker centre, from office workers to Instagram foodies. In between the five acts, the audience will tuck into a four-course meal by the head chef of Escobar, Roy Aziz. The two-hour-long dinner and play will take place at Escobar from 6 to 14 July. 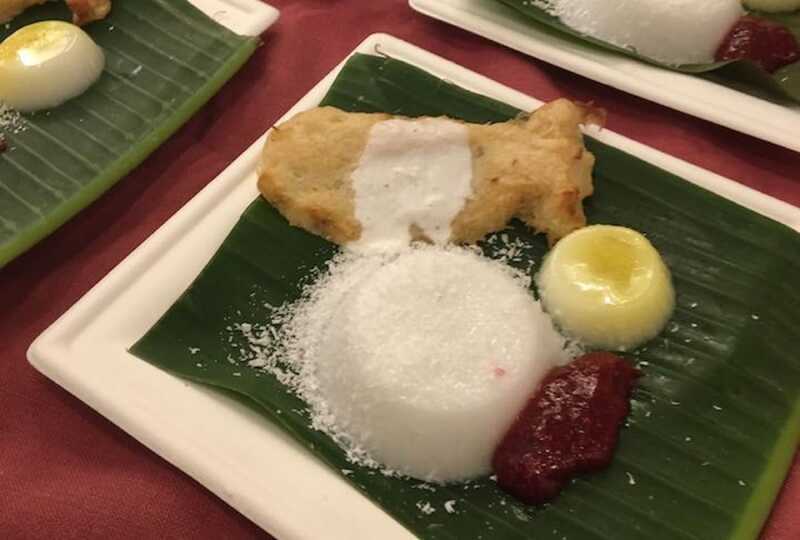 Participants can tuck into an innovative menu of Mod Sin delights such as a “nasi lemak” dessert that is made with tapioca “fish”, coconut jelly “rice”, longan jelly “egg” and strawberry jam “sambal”; kwap chap and nasi padang canapes, and biryani burgers. Grab a beer and say "ohm" during the beer yoga sessions. 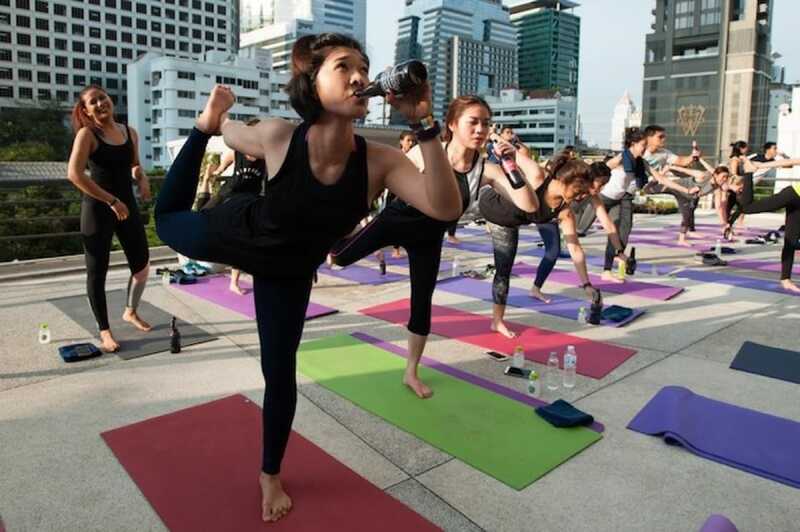 Say “Namaste” over bottles of lager at beer yoga sessions from 13 to 27 July. The fitness craze from Germany, which combines the drinking of beers within traditional yoga poses, is definitely ohm-worthy. Participants will get to sip on a custom-made beer by local brewery,Trouble Brewery while sweating it out on the mats in the hour-long sessions at Clifford Square. 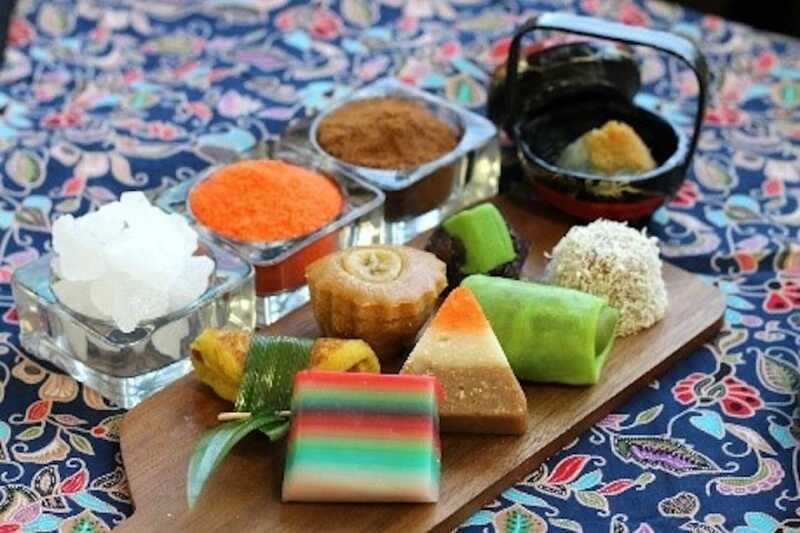 Those keen on kueh can attend workshops on the provenance of the traditional snacks by Rainbow Lapis, a 30-year-old kueh supplier. The workshops will provide a “source-to-table experience” on how ingredients are sourced and kueh are made. Rainbow Lapis has teamed up with three Singapore ingredient producers. Nong by Edible Garden City will showcase edible plants such as blue and white pea flowers that are used to make kueh like pulut taitai. Cheng Sugar will share about the types of sugar such as jaggery that are used in kueh-making. And finally Ah Hua Kelong will talk about how dehydrated mussels can be a replacement for dried shrimps in rempah udang. The workshops are from 21 to 28 July. Love your char siew and siew yoke? Get them in a lip-smacking banh mi (Vietnamese baguette sandwich) that is packed with chicken liver pate, pickled daikon, mustard aioli and cucumber. This special edition banh mi is a collaboration between roast meat stall Roast Paradise and Park Bench Deli. The sandwich cafe is also teaming up with nasi padang shop Rumah Makan Minang to come up with a rendang cheese burger. Both burgers are sold at Park Bench Deli on 15 and 29 July, while stocks last, so carnivores should mark their calendars. A round-up of good eats and dining news from Singapore in March 2019. Bought too many festive foods? Lighten your load and do a good deed by donating to those in need.